Markevius "Dinky" Jones is part of the Mighty Quapaw apprenticeship program were he has learned and mastered many outdoor skills. Dinky began his outdoor recreation career in 2005. He has been on many adventures and has guided many trips with John Ruskey down the lower Mississippi River. He has also been involved in activities for the Mississippi Museum of Natural Science, the Nature Conservancy, the Southeastern Archeological Conservancy, the Mississippi State Patrolman's Association and bird-watching groups for the National Audubon Society. Dinky also helped guide a month-long expedition from St. Louis to the Gulf Of Mexico, where we took out a German film crew to capture the unseen life of the Mississippi River. He has also used his skills that he learned over the past years to teach many young individuals the basic training techniques of canoe safety and building. Dinky also went through a class called Leave No Trace Trainer workshop were he learned many more things about nature and what to do to help clean up the the environment. 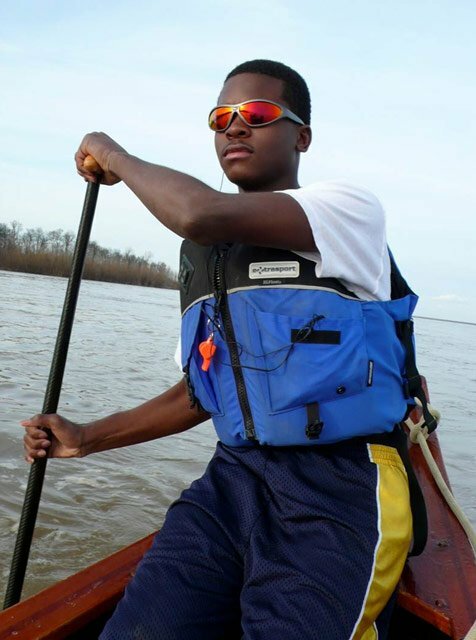 After he graduates from Clarksdale High School this year, Dinky is thinking about becoming a full time river guide of the Mississippi river.